I’ve been inspired, the past few days, by the generous continuum of ways people think about, express, and adopt resolutions for the New Year. Or not. One friend posted: “This isn’t Lent, folks!” Which reminds me of a conversation in early Lent about giving up and taking on for Lent. Someone in that group said: “that sounds more like a bunch of New Year’s resolutions than penitence and renewal.” They’re both right, of course. I tend to either pass up the opportunity provided by the turning of the calendar, to make change, or I come up with a long list doomed to fail. Historically, I’ve an an all or nothing gal. Like most people, many of my resolutions tend to be around health and fitness. I’m not alone here, I know. I think two years ago I wanted bench press my body weight, learn to do handstand push-ups, and train for a Tough Mudder event. Like a lot of people, my New Year’s resolutions historically have a touch of wanting to turn myself into someone else; a younger, more serene version of myself, perhaps. There’s no such thing as a clean slate. We bring all of who we are into each year and each endeavor. Sure, I have too many unfinished knitting projects I should bind off in 2016. I’d like to pack healthy snacks more often. I chronically want to lose five pounds. But I am who I am and I’m kind of done with failure. This week, I was chatting with a wise person about my fitness goals for the coming year and he gave me some profound advice. (“Profound” may just be another way of saying he said exactly what I needed to hear.) He said: “Think about what you want to be really good at ten years from now, and work toward that.” I immediately knew what that longterm goal was. Not that I’ll never tell; I don’t want to jinx it. And the point is not so much the goal as the long view, the nudge to remember that time takes time. Transformation takes forever. Whether it’s moving to a new city, embedding oneself in a new community, making new friends, doing a better job of loving one’s neighbor or sharing wealth or staying healthy and injury-free over a long period of time…all of these things take time. Sometimes, forever. And that’s good news. Accepted wisdom is that most people have broken their resolutions by the third Monday in January. But imagine that it’s not about breaking or keeping, but being faithful to a larger vision. Bring it on. As I’ve reflected these past few weeks on the Gospel of Mark, the thing that has me thinking about Shakespeare is not any particular play, but stage directions. 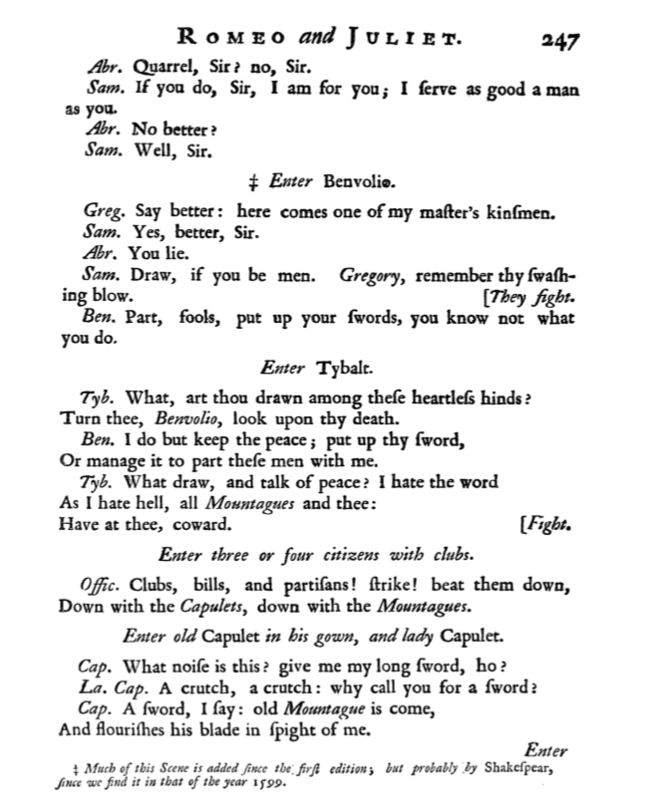 Shakespeare’s stage directions were always very spare, essential three- or four-word instructions that Shakespeare left, instructions that always included a verb and only more if absolutely necessary. The most famous of these comes from “The Winter’s Tale”: Exit, pursued by a bear. Somewhere in the development of playwriting—and if your studies took you out of the 17th century you will know more than I do about this—stage directions became far more than the bare essentials. Some playwrights seem to need to spell out every minute detail of a scene, leaving nothing to individual directors, producers or, heaven forbid, the actors. Mark’s gospel is like Shakespeare’s stage directions. Especially this Epiphany season. Our gospels resound with Epiphany verbs. These are the verbs that reflect what Jesus did. They also are our one-word stage directions for being followers: Come, proclaim, repent, believe, call, leave, go, follow, teach, heal. Much is left to the imagination. And, we hope, to the Spirit. As we strive to follow, believe, go, or teach, no one is going to tell us where to stand or what to wear or what to do with our hands. That’s up to us. Gloriously challenging and freeing. What Epiphany verbs are going to direct you in the coming weeks? The first Christmas we lived in our house we had cats. Well, we had cats for lots of Christmases, but the first year, they were new, rambunctious kittens. So we got a live, potted tree instead of a dead, cut one. That was in 1993; a guy would drive around in his big pick-up delivering the trees with copious instruction on how to care for them. Then he’d pick them up again a week or so later—any longer and it would hurt the tree to stay indoors. Then he’d sell the tree, along with a hundred others, so some tree farm out in the country. His customers were basically renting the trees from him on their way to being delivered to their permanent home. In 1993 this rental cost about $35, back then the same price as a medium-gorgeous noble fir. After transitioning, once our cats simmered down, back to traditional trees, I looked the guy up a few years ago and he was still doing his thing, but asking $150. I continue to opt for a cut, dead tree. We bought our cats Christmas presents every year: catnip toys or special treats. 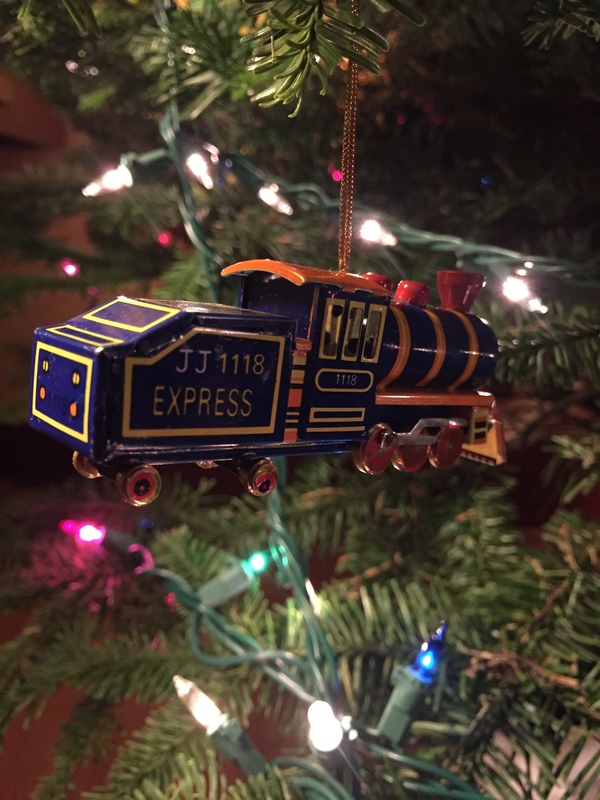 One year, I got them these ornaments that we hung each year at the bottom of the tree for them to bat around. We still hang them there even now that the cats have both been gone for several years. Before we became parents, we had friends over for dinner and we spent the evening talking about our cats the way others talk about their children. A year or two later we had all had kids, and our cats were demoted from being family members to pets. As they got older, I realized I really wasn’t that kind of a cat person. I liked them young or middle-aged, didn’t mind if they were cuddly or indifferent, but wasn’t going to be a good care-for-them-by-any-means-necessary cat owner. I was grateful when they both passed on, and am grateful for the past few years of being pet-free. 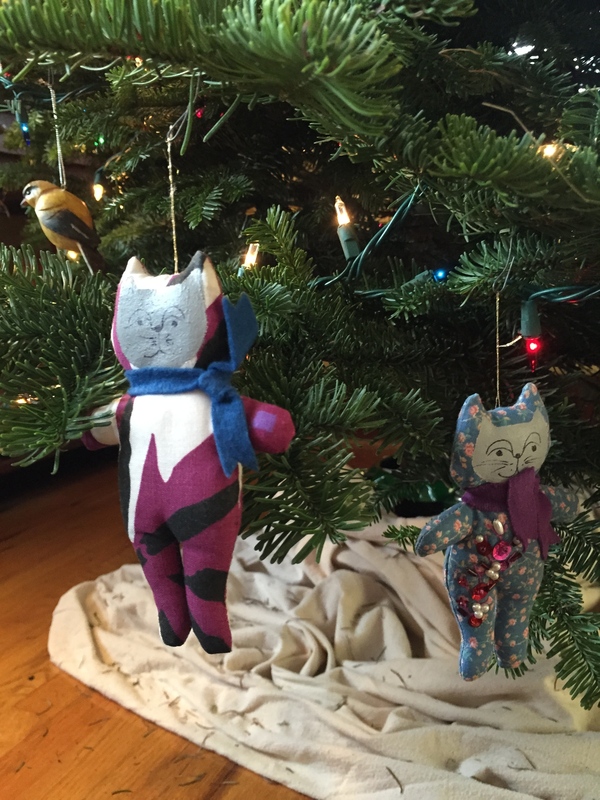 These little guys hanging from the tree are all the cats we need. 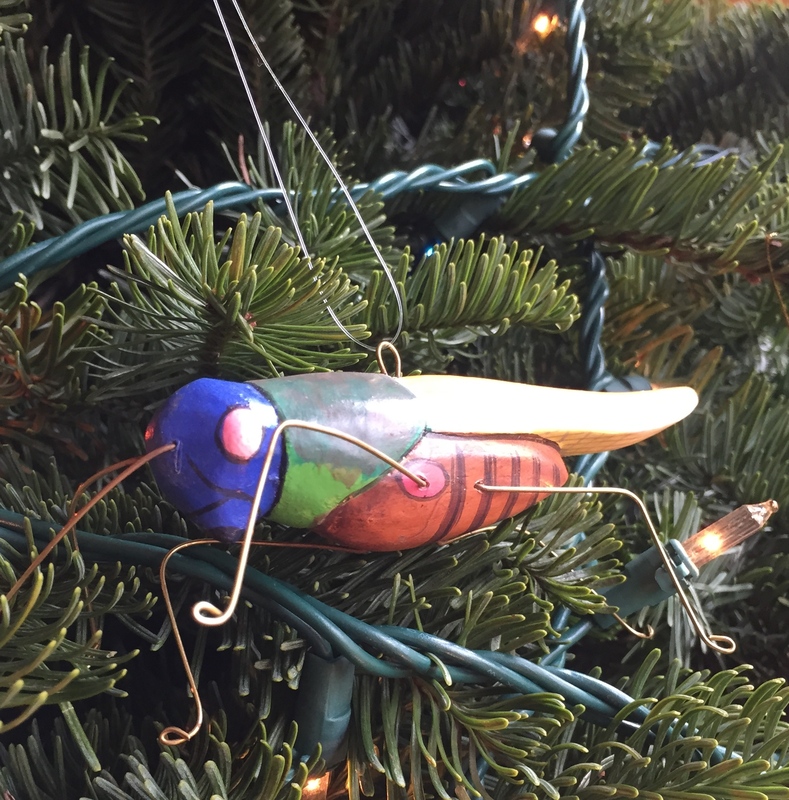 The third day of Christmas: what does this bug have to do with the Northwest Industrial area? 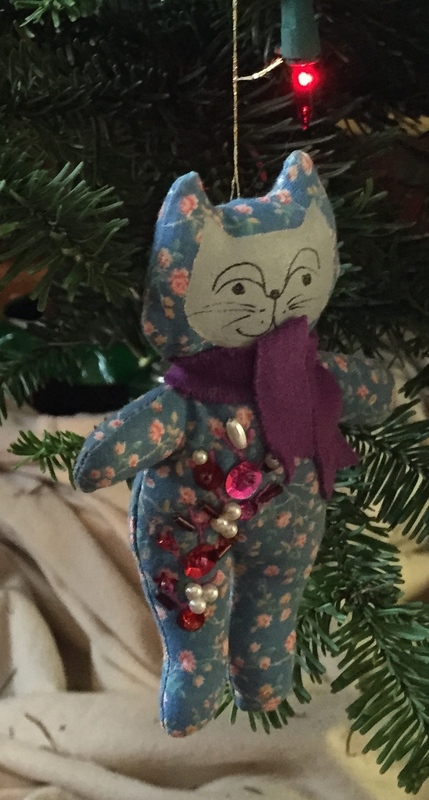 This ornament reminds me, every time I see it, of my mother’s far-reaching creativity and aesthetic. She is a woman of many talents, and brings an artistic flair to everything: sewing, cooking, home decor, gift-wrapping, horticulture. I have none of these talents but I like to think that what I have gotten for her is an equally wide-ranging aesthetic appreciation. Only with my mother can I laugh and giggle about the collection of bugs she gave us for Christmas. 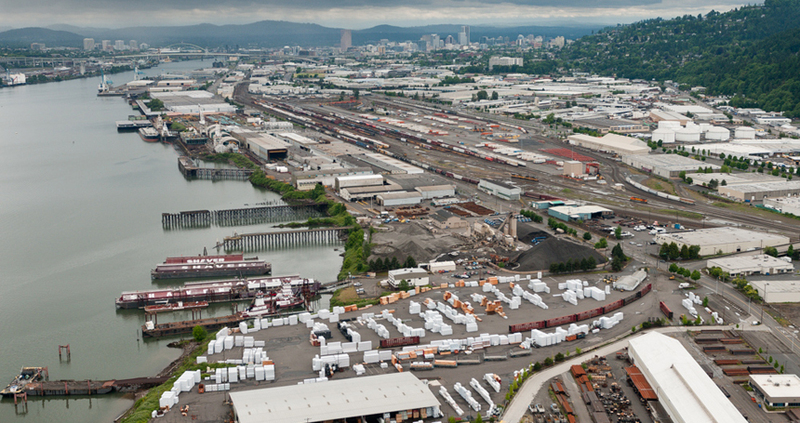 Only with her can I drive through Portland’s Northwest Industrial area and say: Isn’t this gorgeous? For that, as for so many things, I give thanks.